After the prophet revealed how God will pour out the Holy Spirit universally and make salvation available to all mankind, Joel now warns of the Lord’s judgment over the nations of the earth. Here, Joel prophesied of the day the Lord would gather the nations who rose up against the Jews, into the valley of Jehoshaphat where He will judge them and cast out His judgment upon them. The exact day and location of this judgment remains unknown, but the prophet does reveal the name of the valley where God will exalt the Hebrew nation, and curse those who so horribly mistreated His people going as far as trading Jewish children to fulfill their sexual desires or to get drunk. Tyre and Sidon were Gentile port cities located on the Mediterranean coast, and the coastal plain where the Philistines lived after invading from Caphtor were well known for oppressing the people of God. Joel shares the Lord’s warning for those regions, and how they should accept His judgment or suffer even greater punishment. When Judah was invaded, God’s people were taken captive and their possessions were divided among the Phoenicians and Philistines who captured and sold them as slaves, stole the Jews’ silver and gold which was used to profusely adorn angels and saints in their temples. The Phoenicians and Philistines worshiped false gods, and they used God’s precious metals in their false worship. 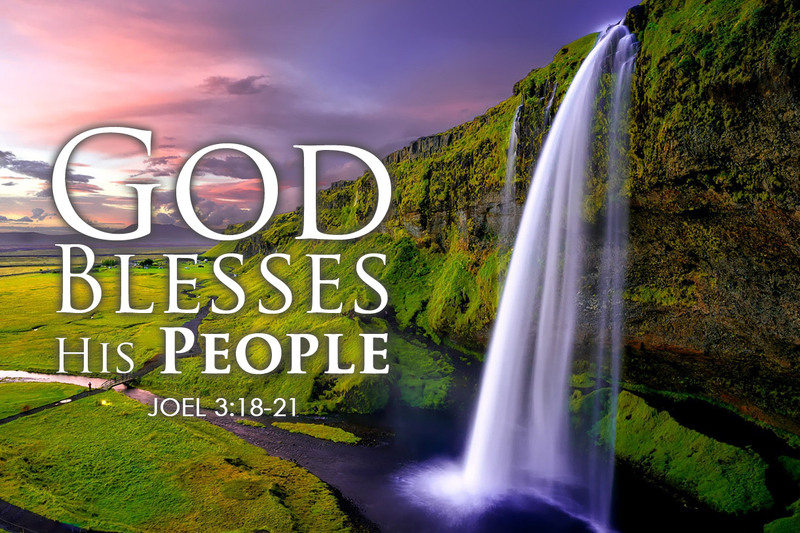 Here, Joel warns those who persecuted Jews that judgment awaited them, and they should be on the lookout for God’s revenge as He does onto them as they have done to His people, placing His wrath upon them by selling their descendants to the Arab traders. Joel then shares how God taunts His enemies by urging them to get ready for war as those who persecuted the Jews are invited to come and fight Him in the Valley of Jehoshaphat, where He will cast out His vengeance against them. God’s anger for those nations who persecuted His people is at hand, and His wrath upon them will be so great that all His enemies will perish. Their sins are many, and their unrepented souls are to burn in agony in Hades where there will be gnashing of teeth, pain and suffering forever. Next, the prophet describes the location for this battle, the valley of Jehoshaphat where the sentence of God’s judgment will be carried out against the nations who oppressed the Jews who will be spared from the Lord’s wrath on that judgment day. Lastly, Joel announces the earthly location of the millennial temple where God’s will reside, in Jerusalem where He will reign for eternity inn ultimate peace and harmony with those who place their trust in Him, those precious few whose banes are written in the Lamb’s book of life. Let’s pray!